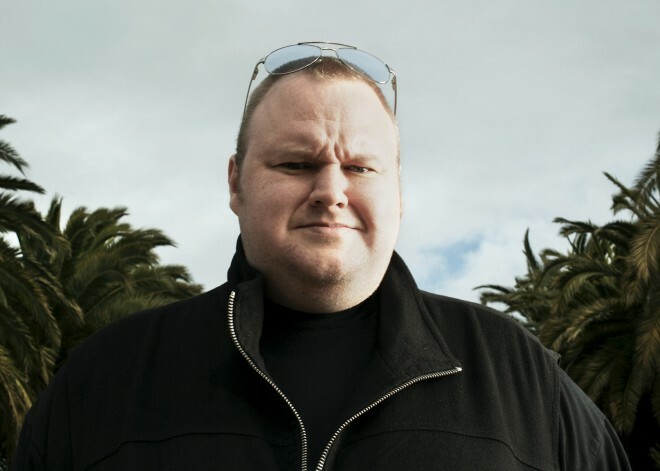 They’ve been indicted by the U.S. government for conspiracy and briefly thrown in jail, but Kim Dotcom and his partners in the digital storage locker Megaupload have no intention of quitting the online marketplace. Instead the co-defendants plan to introduce a much-anticipated new technology later this year that will allow users to once again upload, store, and share large data files, albeit by different rules. They revealed details of the new service exclusively to Wired. via Megaupload Is Dead. Long Live Mega! | Threat Level | Wired.com. SAN FRANCISCO — Quarter by quarter, eBay defies the conventional wisdom that troubled Internet companies can never return to their former glory. The once troubled online retailer has continued a successful turnaround and cultivated double-digit growth in PayPal, its online payments system. Just three years ago, eBay’s core auction business had stalled and its stock price was down to $10, a far cry from its peak of $58 in 2004. At today’s closing price of $48.20, the company’s stock is up 54 percent for the year, more than the 37 percent gain of its rival Amazon. via EBay’s Focus on Mobile Apps Helps Lift Revenue 15% – NYTimes.com. the iPhone 5 is so big that JP Morgan economist Michael Feroli estimates that itll boost Q4 GDP by 0.33 percentage point.The Wall Street Journals Spencer Jakob looked back at how retail sales reports performed against economists expectations during months when new iPhones were launched. Its unclear how much an iPhone accounted for each of the surprises. Its also unclear how much economists have considered the impact of the iPhone 5 in their current estimates.But should iPhone sales provide a better-than-expected boost, the impact would be magnified by a seasonal adjustment. “Since September is traditionally one of the weakest months for sales of electronics, an iPhone-induced sales spike would be worth about 1.12 times as much as in an average month,” writes Jakob citing Census data. via iPhone Sales Impact Global Economic Data – Business Insider. Mobile game publisher TinyCo is announcing a way for developers to make money by driving users to TinyCo’s games. They can do so by embedding ads within the content of their games, and they can keep 50 percent of the proceeds. The Tiny Partners affiliate marketing program is intended to benefit both TinyCo and developers through revenue sharing and brand integration, said Andrew Green, director of business development, in an interview with GamesBeat. The program helps skirt the ineffectiveness and high cost of banner ads. TinyCo, the San Francisco-based publisher and developer of games like Tiny Monsters and Tiny Village, gives ad-like assets and art that can be embedded in the heart of the game, like in the picture above. The developer embeds the ads in its game and drives users to TinyCo’s games. “We get higher clicks and better conversion rates” because the ads are directed at gamers who are playing similar games. TinyCo will share 50 percent of the lifetime value generated by the user that comes via the advertisement, Green said. For TinyCo, this form of payment means it doesn’t have to pay upfront for ads. “If they send us a user that generates $1,500 in revenue over time, the developer gets $750,” Green said. TinyCo’s code tracks the conversions. Tests with developers have shown conversion rates of 12.3 percent, versus the usual ad conversion rate of banner ads at 3.5 percent. That means 12.3 percent of users are installing the apps that are shown in the affiliate ads. Average revenue per paying user and retention rates are higher on TinyCo’s games, with conversion rates on Android approaching that on iOS. That’s important, considering 1.3 million Android devices are being activated every day. “With TinyCo, we were treated like a partner, not just a vendor. TinyCo was willing to share their revenue with us. Other companies were just interested in the cost per download,” said Dave Yonamine, CEO, Mobility Ware an early partner in the program. Other developers such as Riptide Games are currently adopting the affiliate program.